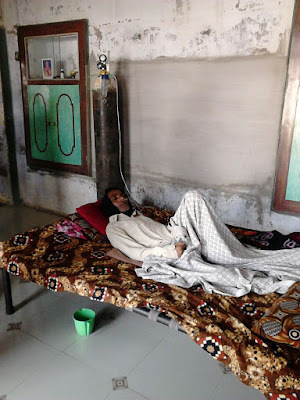 With the death of two more agate workers due to silicosis, Rafik Husen Malek (43) and Naresh M Rathod (42), the toll because of the deadly occupational disease in Gujarat has reached 20 this year. 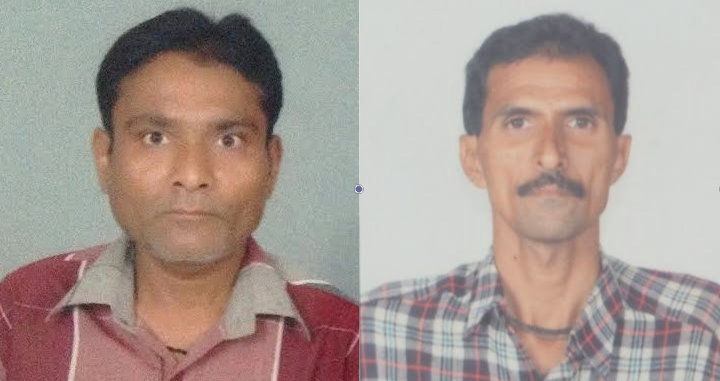 Both were residents of Shakarpur, Khambhat taluka of Central Gujarat. Last year, 25 deaths took place as a result of silicosis. Naresh started working at very a tender age, and later set up his own unit, which he ran for over 25 years. For the last three years, he was feeling sick and closed shop. He was bed ridden the last six months. As for Rafik, he worked as “bankda” worker at his home. Naresh has left behind him two daughters and two son and wife Dharmishtha. Rafik has five daughters, youngest one being six, while the eldest, Amrinbanu, is 18. He is survived by his wife Farhadbanu and daughters. Last June, the National Human RIghts Commission (NHRC) sent its high-level team for spot inquiry. Team spent a week in Khamabhat and held meetings with Government officials, traders, manufacturers, workers, silicosis victims and NGO representatives. The committee, which submitted its report to the NHRC, recommended, in the main, that for the need to formulate a comprehensive policy to regulate functioning of agate units in order to address the problems of agate workers in general and in the light of Supreme Court judgement in the matter of PM Patel & Sons vs Union of India and Ors [1986-(001)-LLJ-0088-Supreme Court and 1986-(001)-SCC-0032-SC]. The committee sought the need to identify all the victims of silicosis, issue identity cards to them, sanction interim relief in deserving cases, extend proper treatment to those who are suffering from silicosis/ pneumoconiosis, alternative employment and rehabilitation to all such ailing persons. It also insisted on need to compensate the next of the kin of the deceased, who died of silicosis/silica-tuberculosis while working in agate units. Further, it sought updating of the number of factories functional in agate business and ensure minimum wages, provident fund, Employees’ State Insurance Scheme, etc. to the workers. The committee insisted on the need to implement the Gujarat High Court guidelines on Special Civil Application No.4793 of 1998 (Suo Motu ss. State of Gujarat) and notification of Government of Gujarat dated December 26, 2014 under section 87 referred to with Section 85 of the Factory Act, 1948 in letter and spirit. The NHRC sent the copy of the report to the Chief Secretary, Government of Gujarat, f comments in November last. The Government of Gujarat passed a resolution to pay relief of Rs 1 lakh to the next of the kin of the workers dying of silicosis. In all 95 families had applied, out of which 20 were paid the amount in June last. Since then, no one has been paid the amount and applicants are waiting for their turn to receive the amount. Since 2006, 137 – 108 male and 29 female – workers have died. Many could not apply for want of legal heir, as required by the rules framed. The People Training and Research Centre (PTRC), Vadodara, has represented with the Government of Gujarat to consider such cases sympathetically.